This week I’m looking at how to take published maps, rescale them for miniature or virtual tabletop use and then slice them up for printing at home. Many maps are provided at the wrong scale for a home game. Take this one from Wizards as an example. This map is 21.6 pixels per grid square – the wrong size for printing at home, and the wrong size for most virtual tabletops. How do you resize this so it can work in your home game? Open up the file and select the measurement tool. In Photoshop it hides underneath the eyedropper in the tools pallet. Click and hold the eyedropper and it will open up a set of tools. Pick the ruler tool. In Gimp it’s just called the Measure Tool (shift-M to quick select). Click one of the grid intersections and drag to another grid intersection on the same horizontal or vertical line. I tend to measure 10 squares this way, as it makes the calculation easy. Your program should now tell you the number of pixels in the 10 squares. In this case Photoshop tells me it’s 216 pixels for 10 squares (in the bar at the top of the window) and Gimp agrees (in the bar at the bottom of the window). Now we’re going to resize the map. I want to scale the map up so that each square is 100px wide. That means the current image is 21.6/100 = 21.6% the size I want it to be. That means I need to scale it up by 100/21.6=463% (you always scale up by a factor equal to <size you want in pixels>/<size you currently have in pixels>). In Photoshop go to Image->Resize. First set the dpi to 100dpi – this will make the image print at 1 grid square = 1 inch – and then pick Percent from the drop down menu beside the Width field and enter your percentage – in this case 463%. Click okay, and your image will scale up. In Gimp, it’s basically the same. Go to Image->Scale Image. Set the x and y resolution first, and then set width and height in percent. Throw this into your virtual tabletop of choice and you should now be able to lay in a 100px grid and have it all line up. Or you can print it off at 100% (turn off page scaling) and you should have nice 1 inch squares for your minis! It’s likely that your new scales up map will be too big to fit on one page. I’ll be talking about using a nice little free program to slice up a large map for home printing tomorrow. 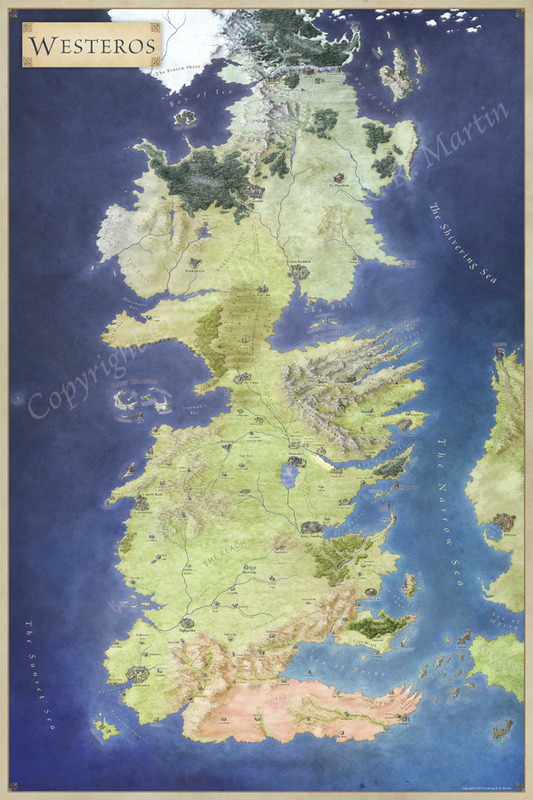 I took an extreme example here – the map from Wizards (by Mike Schley ) is very pretty, but it’s a very low resolution preview. It’s still sharp enough for most vtt uses – though it’s almost certainly too blurry for printing out at home. However, a lot of maps from pdfs, such as Dungeon adventures, or from Paizo adventure paths, are sharp enough that with a little rescaling they can be easily dropped into a gaming session. So you may have a map that’s bigger than one page, and you want to print it off at home. There are a couple of ways of doing this, but I’m going to walk through the process using a great little free program called posterazor. You can download it free from here. Check that the dpi setting in the Image Information is the same as the number of pixels in a single grid square (as we discussed on Monday). Note that there seems to be a bug between Photoshop CS5 output and posterazor which causes posterazor to get the dpi wrong, but we can deal with that later. On the next page pick your paper format (remember, US letter and A4 are not the same), orientation and margins. I go with 0.5 inch margins to make life easy. Now pick the overlap. I find it useful to have half an inch of overlap between panels to make it easy to line up the maps. Define the image size – I choose the 3rd option in the list and set Size in Percent to 100%. This ensures that the pdf outputs at the correct grid size. If the dpi was off in the first panel then change the percentage here. I find posterazor reads my Photoshop jpgs as 72dpi, when they should be 100dpi. I just set scale 72% here and that corrects for it. Save the poster file! You’re done. This should now print perfectly, as long as you remember to turn page scaling off in the print options. The map in the example was originally created for the adventure The Breaking of Forstor Nagar. Fully printed out, the map is 60 inches by 40 inches, so it definitely needs slicing up for use at the gametable. You can see more on the making of the map here. These tips originally appeared on my Google+ and Facebook pages. I use the MapScaleTool Excel file (which works in LibreOffice/OpenOffice) to do my scaling as I don’t want to do the math. “I want to scale the map up so that each square is 100px wide.” how did you come to this number? 100px is somewhat arbitrary. I use that because (1) it’s easy to print at 100 dpi so you can use 1 inch minis. (2) many computer screens are around 100 pixels per inch, so at full size you’ll see a square at 1 inch on the screen, with decent resolution. Would having a margin conflict with overlap? Would I be left with bits of white everywhere, as the margin on my top sheet would still be there? Yes, you’ll end up with a few margins – but it’s actually fine when you print it out. It just requires some quick scissor work. The printed areas will be perfectly scaled.